Slide 12: Bauhaus — Plan of the first training programme in Weimar, n.d.
Schlemmer’s work on this project became the basis for his fundamental-systematizing dances the Form, Gesture, Space, Stick, Scenery, and Hoop dances which he taught at the Bauhaus while in charge of its theater workshop from 1923 to 1929. 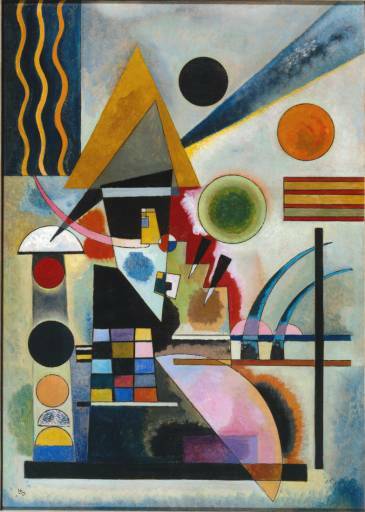 Slide 24: Eugen Batz – Ordering of colours and forms from Kandinsky’s seminar, 1929-30. Direct artists into a new machine age by marrying art and industry. The process started in 1897 with Art & Craft workshops in Germany and ended in 1933. 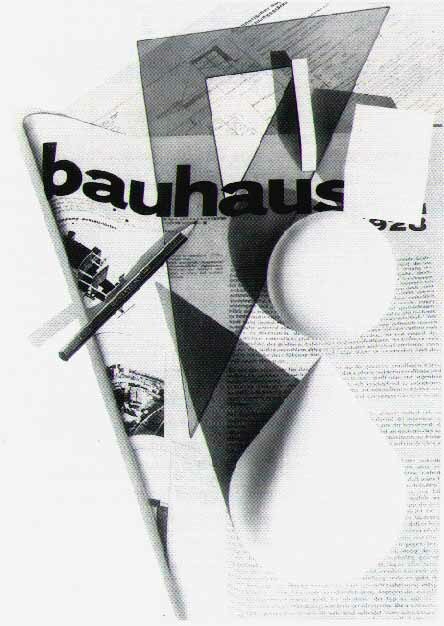 Bauhaus is not unique. Its principal aim was to bring together ideas from of art and industry. The main idea was to improve manufacturing in order to improve the quality of life in Germany and create products for export. They had to have a German identity. 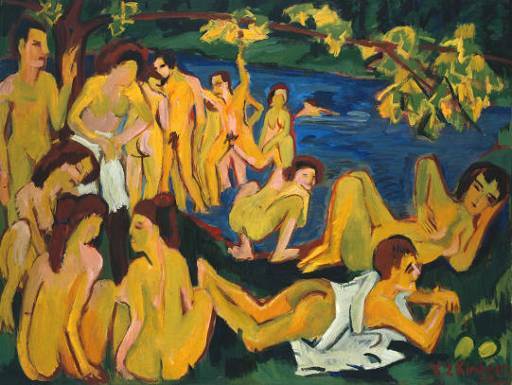 Kirchner’s Bathers at Moritzburgm – Expressionism and Jugendstil, he tried to create a unique German art. In Germany artists were all aware of the importance of design and were all trained in Arts & Crafts. This meant no life classes and no copying old masters. 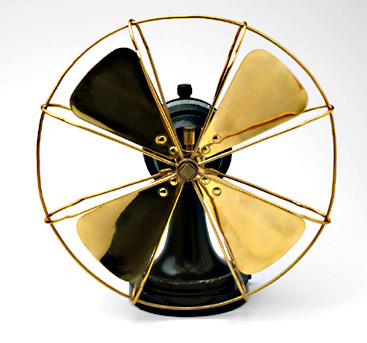 Peter Behrens AEG logo and unique AEG fan. William Morris felt the machine alienated the worker so he wanted all his goods to be handmade but this was utopian as they were so expensive only the upper classes could buy his work and this was in conflict with his desire to create beautiful goods for everybody. The German approach was very different as the German Government held been involved in Arts & Crafts since unification (1866 and 1870-71). They wanted to put money into the project and make it successful so it became better known than in England. Their ideas were therefore applied to industry rather than being utopian. 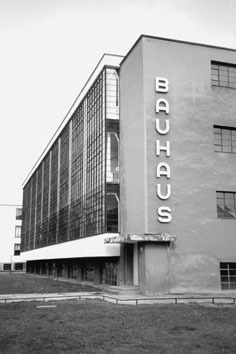 The Bauhaus was a coalition of existing authorities in Weimar. 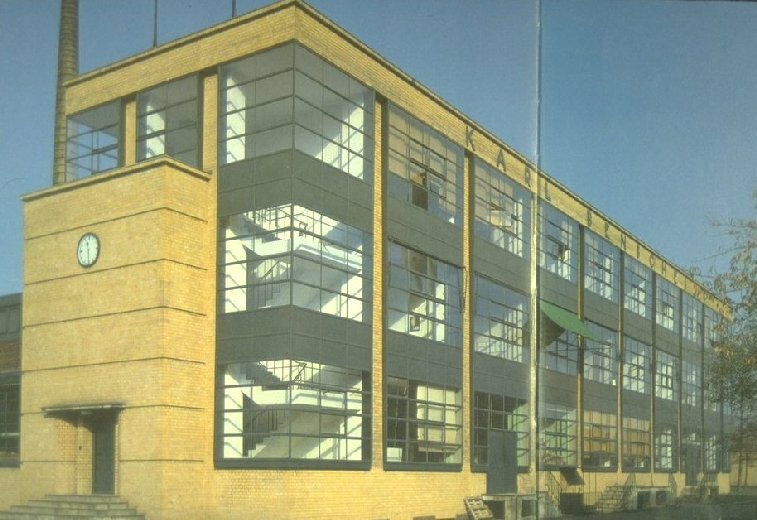 They asked Walter Gropius to head the new art academy – the old Fine Arts School and the Arts & Crafts school. They would learn both skills and work with industry and create products that could be mass produced supported by the Government. 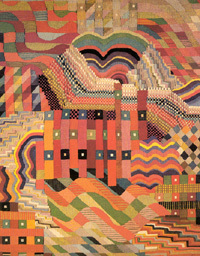 They looked at Morris ‘s medieval – inspired designs but applied it to mass culture. The New Weimar republic post – war brought a new idealism. 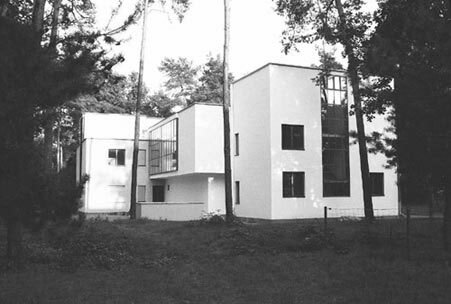 Gropius ‘s experience during the war caused him to employ painters with utopian leanings. 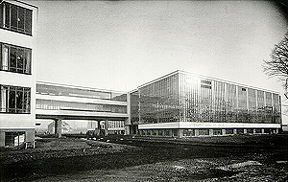 Gropius was an established architect – he had designed a locomotive, factory and office building. He married craftsmanship with modem materials. He had a utopian idea that architecture could bring together all the arts. 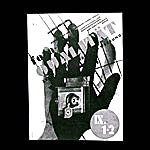 He thought Bauhaus would contribute to post – war society. He introduced a guild system – lecturers were called masters, first year students apprentices and second year journeyman. 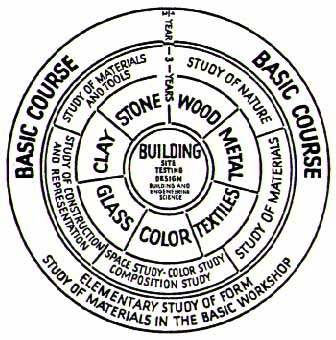 A medieval craft guild system. 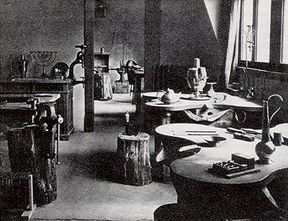 The school was divided into workshops – metal, wood, stained glass, colour, textiles, stone and clay. There was also a theatre workshop. Wagnerian ideal of the totalkunstwerk of uniting all the arts. Futurists and the Expressionists also had this idea of uniting all the arts. Each workshop had a master of form and a workshop master (creativity and the practiced application). The ultimate of the programme was building. Students were encouraged to experiment with different materials. A large number of female students were accepted unlike traditional art colleges. Elsewhere females were not accepted into life classes until the late 19. Areas they felt suited the female nature – intuitive, weaving, looms were brought into the colleges. 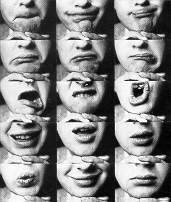 Johannes ltten (Eaten) was one of the first masters of form. He wanted to free the hidden talents of the student rather than impose ideas. He was interested in Eastern religions — he introduced breathing exercises before class and dance. He got students to students reduce old masters to blocks of colour. He was Utopian and mystical. 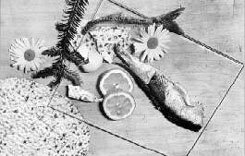 There was a clash between utopianism and the manufacture of goods. 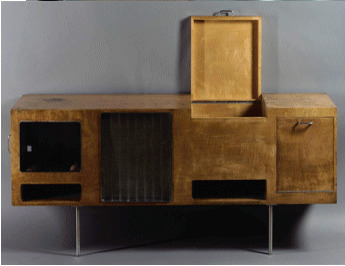 So he resigned in 1923 after an argument with Gropius. 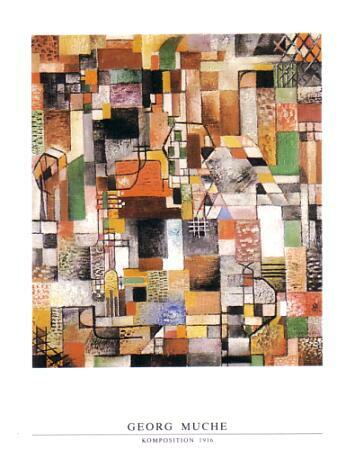 Kandinsky and Klee were also interested in mysticism and utopian ideas. 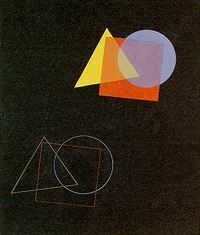 The book Point and Line to Plane by Kandinsky explained the spiritual association of form and colour. So blue was a circle, red a square and yellow a triangle. Intermediate forms had intermediate colours. Angles were deemed to have a certain temperature 90 degrees was red, smaller angles yellow, larger cooler. He wrote a colour theory that also linked colour to sound. 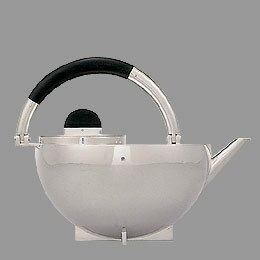 Moholy-Nagy was appointed as a much more practical director as Gropius had sold very little in the first three years. 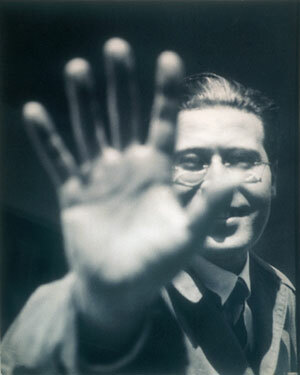 Moholy-Nagy replaced Itten. 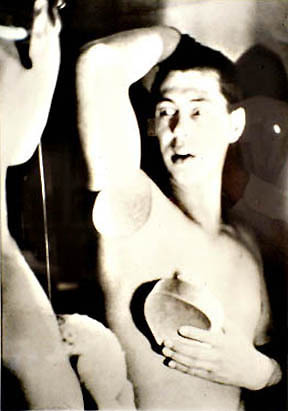 He was influenced by the Constructivists in Russia and wanted to link art and industry. 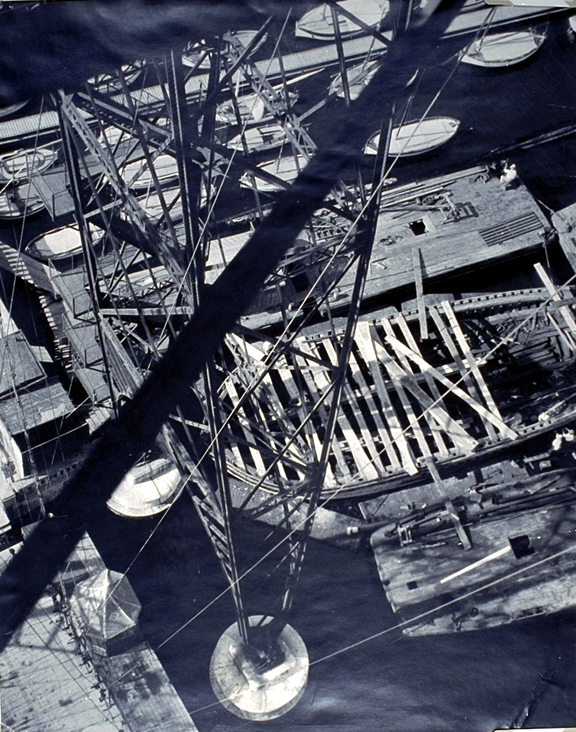 His medium was photography (see famous photograph looking down from a radio tower). 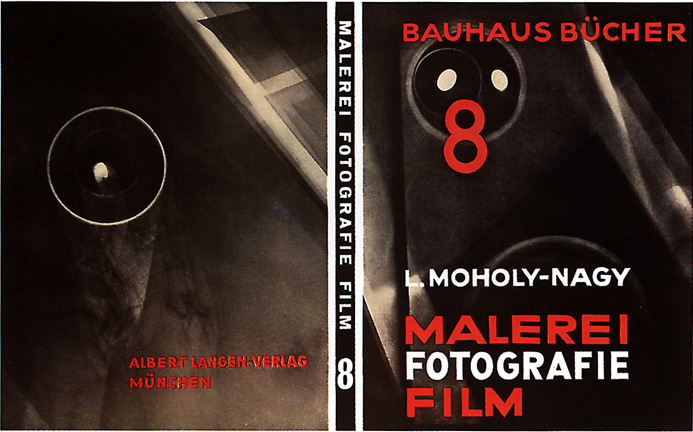 Moholy-Nagy was much more practical and he introduced distinct design ideas and typography (very distinct and became a symbol of the Bauhaus). He introduced a photographic course from 1923. 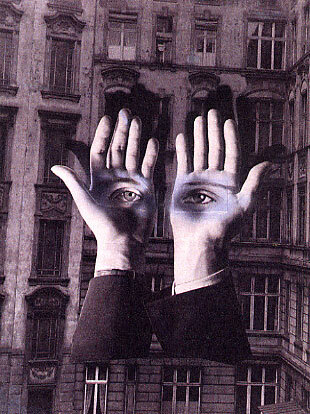 He produced some very significant works (see photomontage of eyes in palms of hands before a city, alienation. 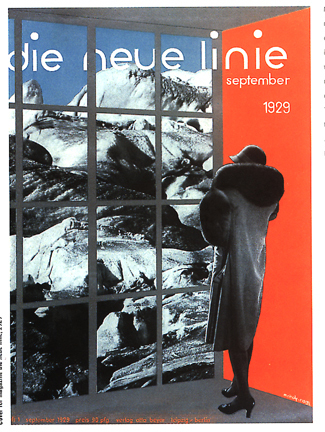 Also see Kranz ‘s superimposition of portrait and Bauhaus). 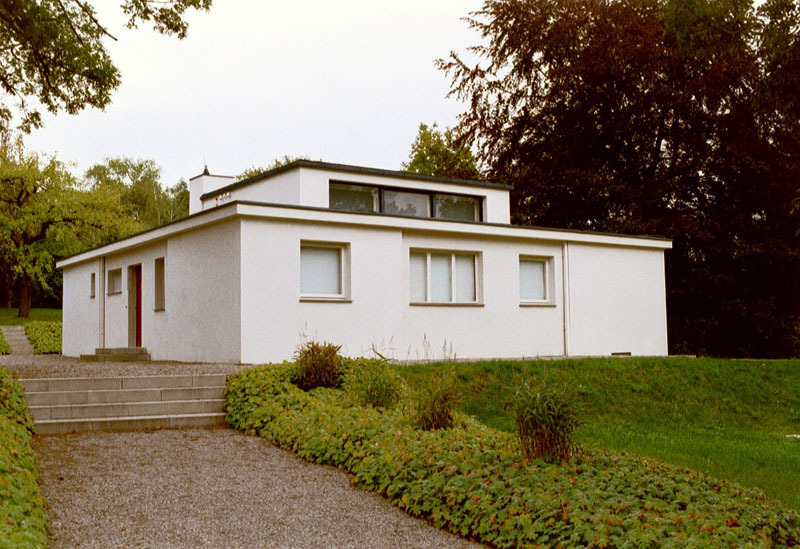 In 1923 he opened an exhibition that included a model house Hans am Horn. This was very significant as it was designed for the modern middle – class. The purpose was to make life easy for the inhabitants. The living room was an open space for the whole family. 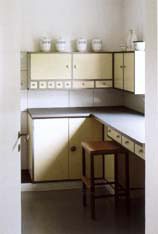 The kitchen was the first fitted kitchen worldwide. The children ‘s room had blackboards on the walls and toy boxes that became tables and chairs. These were all firsts and common today. The fitted kitchen, cupboards and so on were all designed to be easily mass produced. The house did away with ornamentation, it was a minimalist house. 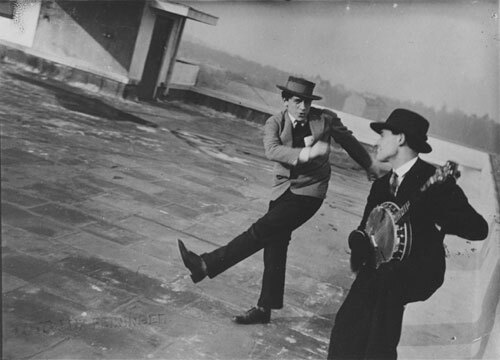 Political events in Weimar 1919-1925 were significant and ran parallel with the Bauhaus. There was a very strong local resistance to having the school there. 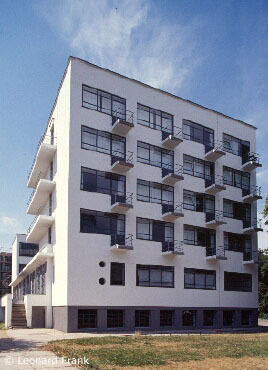 An extreme right wing local government accused Bauhaus of left wing and revolutionary tendencies. 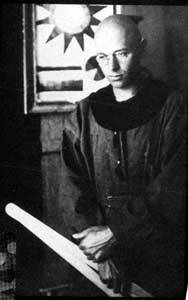 The life of the Bauhaus students was Bohemian and threatening to the locals. 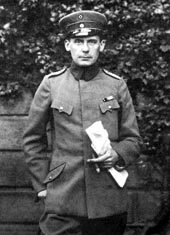 Gropius was accused of favouring Jewish students. Gropius designed a memorial to the dead leftwing strikers of 1921. In 1923 his house was searched. In 1924 all funding was withdrawn. The school was moved to Dessau (north east on the way to Berlin, an industrial city). They all designed the new building. 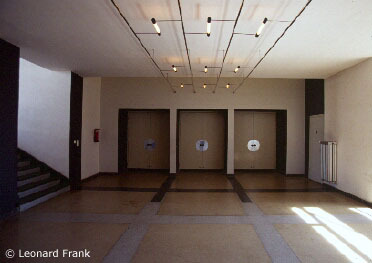 Moholy-Nagy designed the lighting, Gropius the building. 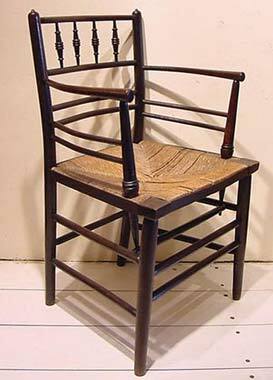 It used modern materials and was practical. He also designed the staff accommodation. The old guild method was abolished and each workshop now had one professor. 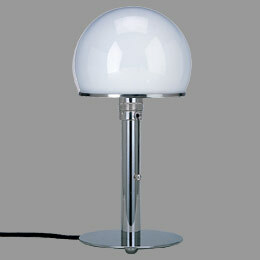 The school began designing useful goods, such as table lamps, tea infusers, chairs (the famous Wassily (Vaseely]) chair made of steel tubes with two stripes as the seat. They had funding from Dessau but also started generating income from designs. 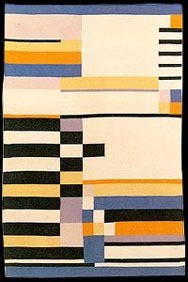 Ruth Hallos carpet design. (gobelin). Also Gunter Stolzl encouraged consumers to put up textile wall hangings. Consumer goods became highly desirable in the late 1920s. Typography workshop was influential. They favoured lower case letters against the German system of capitalizing all nouns. Smooth, clean, clinical typography. It was very provocative to challenge the German language itself. 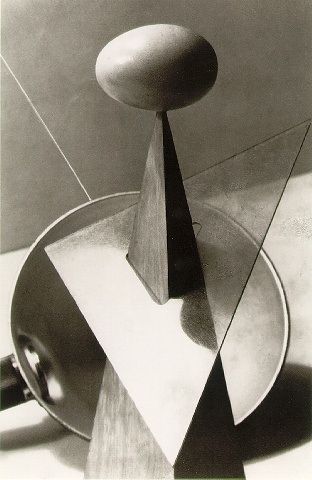 Moholy-Nagy was a very political person who wanted to challenge the state. 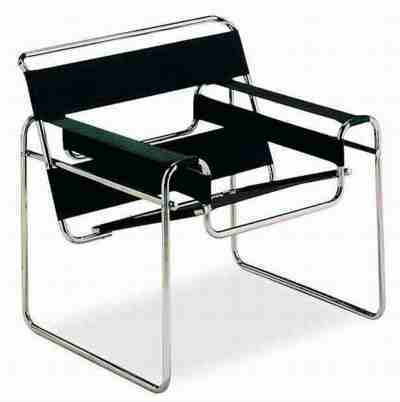 Bauhaus follows the rise of the Nazi party. When the Nazi’s took control of Dessau in 1924 they moved to Berlin but lasted only one year when in 1925 Hitler took control of the country. 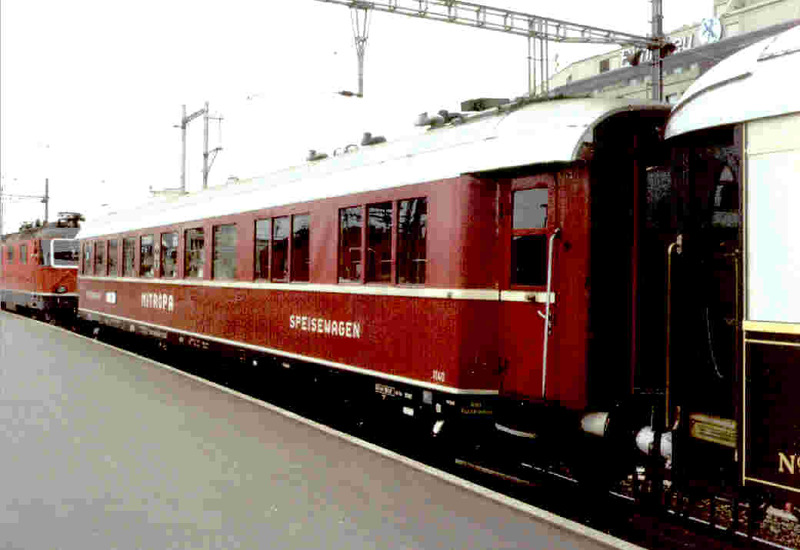 It was immediately closed as it was accused of harbouring Jews and left-wingers. Most staff and students went to the US and founded a school in Chicago. Compare with Constructivists as they had similar ideas. The majority of the artists had been to Russia in the early 1920’s. It is important to note the similarities.